The wedding theme is normally the foundation of the entire wedding decor: a guideline that should be complemented by a specific color palette. The wedding theme is the inspiration for all ideas and creativity for transforming the wedding day into something truly special. The chosen wedding theme can start with the wedding invitations and be applied to the smallest of details… the sky is truly the limit. When a wedding theme and its corresponding color palette are chosen, don’t make the mistake of making the theme too literal or too obvious. For example, if you’ve chosen “birds of paradise” as your wedding theme, you shouldn’t add birds to every single wedding detail or décor. Try and leave something to the imagination of the guests… that’s part of the wedding theme magic. We’ve rounded up 4 wedding theme inspirations that are simple, stylish, timeless and always a hit. Flowers are always a perfect wedding theme and there are so many ways to use them cleverly: incorporate a floral pattern into the wedding invitations; choose a formal and elegant floral wedding decoration or something more minimalist and casual (depending on the wedding style you’ve chosen); decorate the entrance to the reception exclusively with flowers; serve hors d'oeuvres decorated with edible flowers; present your guests with rosewater ice cream and a wedding cake topped with sugared roses – elegant ideas for a floral wedding theme. Letters can be a great idea for any wedding theme because they are always chic – there’s some reason why so many designers are passionate about lettering and fonts! Using the first letters of your names to create a monogram that can be incorporated into the wedding invitations, as well as other cards and paper details is very personalized. Hiring a calligrapher to write your invitations by hand is an elegant touch. Printing your initials or monogram on a satin ribbon and using it to tie the wedding favors will add a very personal feel. 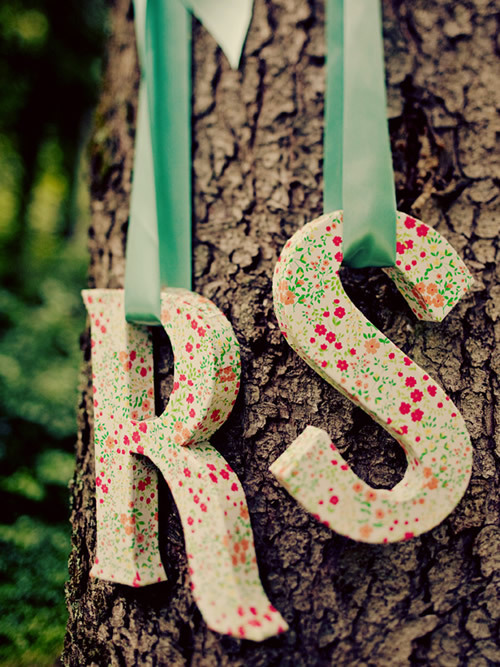 Other great ideas for using letters as your wedding theme include: having giant stickers made with your initials and taping them to the dance floor for your first dance; naming each table after a letter or font; instead of topping off the wedding cake with a miniature bride and groom, do it with your monogram. Just remember: you should choose a font that speaks to you and that can be coherent throughout all the wedding details and décor. Besides being timeless and beautiful, stripes are great for decorating and creating depth and dimension in a space – however, it’s important that you stick to a monochromatic color scheme in order to avoid too much confusion and visual “noise”. 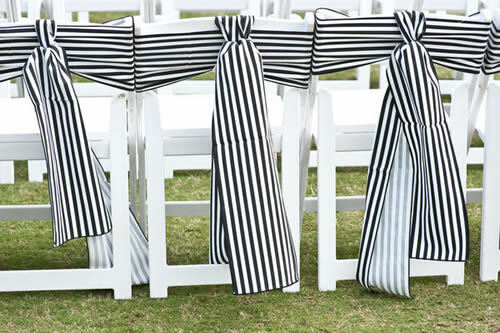 Decorating a wedding with a stripes theme is an easy and stylish way to create an equally stylish wedding. Choosing wedding invitations, cards and place cards that incorporate stripes, can be extremely elegant. Cover the wedding reception tables with large striped tablecloths that can be of nautical inspiration, in blue, or something more classical, like green stripes. Complement the striped tablecloths with large flowers such as hydrangeas, peonies or ranunculus to create a classic and sophisticated look. Just remember: you shouldn’t place stripes everywhere! For example, if you go for striped tablecloths, than the menus shouldn’t have any pattern and be of one color only. 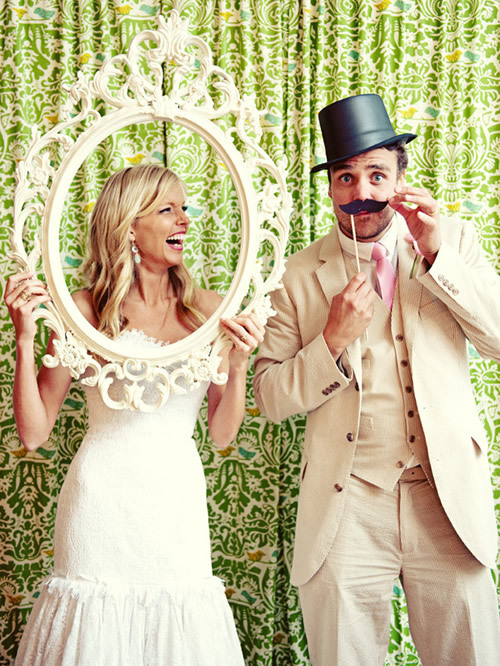 Vintage is back and wedding themes that travel in time are also very popular. Even though they may seem childlike at first glance, wedding themes that incorporate vintage toys can be wonderful and playful. Who doesn’t remember the Rubik’s cube, checkers or old string-pulled wooden toys? Whoever recalls these magical objects will love remembering them all over again and whoever doesn’t, will love to be introduced to them! Adding an old typewriter to the reception where guests can write a note to the newlyweds or setting up an old photo booth are both great vintage ideas that can also be a lot of fun! Another fun way of incorporating vintage ideas into your wedding theme is using old postcards as the wedding invitations or an antique product as a wedding favor. 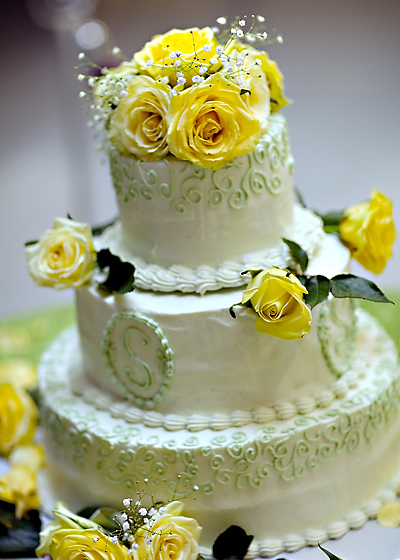 Besides being very original, these are wonderful ways of adding a bit more emotion and nostalgia to the wedding.